Here we go again. Video games are taking heavy fire, now being blamed for the recent rise school shootings. And now a Pennsylvania state lawmaker feels that they should pay the price. State Rep. Christopher Quinn proposes a bill to put a 10 percent tax on violent video games to fund school safety. This pertains to games with violence, blood and sexual content. Quinn told CBS Philly that is makes sense to use video games to fund school safety measures. Like many people, Quinn believes that video games could have an impact on behavior and sees it as a connection to school violence. “One factor that may be contributing to the rise in, and intensity of, school violence is the material kids see, and act out, in video games,” the Delaware County lawmaker wrote in his memorandum seeking support for his bill. He also included a recent article posted by The National Center for Health Research that studies have shown that violent video games have an impact on aggressive behavior and could desensitize people to seeing aggressive behavior and feeling empathy. However, resistance is being met from the video game industry. 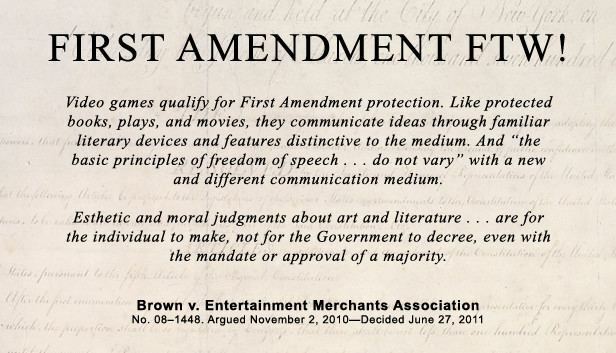 Entertainment Software Association, also interviewed by CBS Philly, says that the bill is in violation of the Constitution, citing the U.S. Supreme Court decision of Brown v. Entertainment Merchants Association and Entertainment Software Association where video games are protected under the Constitution. This means that Quinn is looking to trying to go above the Supreme Court’s rule with his proposed bill. The other problem is he is seeing only one side of the video game controversy. Various studies conducted have come to one overall conclusion – there is no direct correlation between playing video games (violent or otherwise) and aggressive behavior. Psychologists at the University of Oxford recently surveyed 1,000 British teens, ages 14 to 15, about their gaming habits and behaviors, finding that half the girls and two-thirds of boys played video game. The researchers also interviewed the participants’ parents and caretakers as well to minimize biases. As with any testing, there is preregistration. The researchers reported their hypothesis, methods and analysis technique publicly before the study began. They felt that researcher biases may have influenced previous studies on the topic and distorted their understanding of video games. Andrew K. Przybylski and Netta Weinstein reported their findings in “The Royal Society Publishing”, stating that violent video games are not associated with aggressive behavior in teens and adolescents. 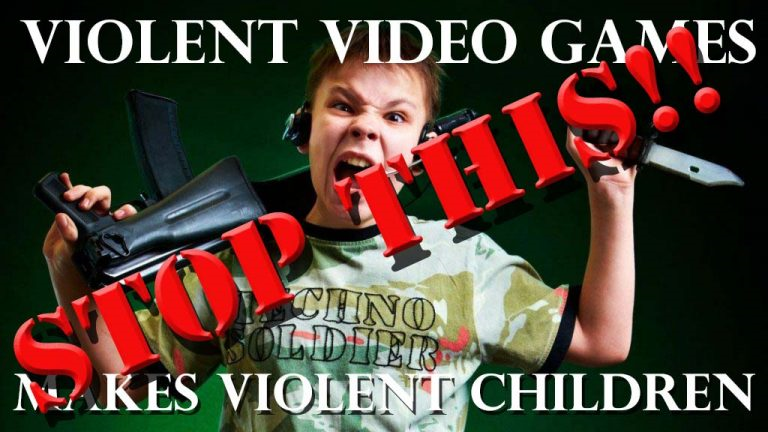 “Numerous authorities – including scientists, medical professionals, government agencies and the U.S. Supreme Court – found that video games do not cause violence. We encourage Pennsylvania legislators to work with us to raise awareness about parental controls and the ESRB video game rating system, which are effective tools to ensure parents maintain control over the video games played in their home,” said the Entertainment Software Association in a statement. Example, since we’re talking about the Florida school shooting last February, let’s take a look at another shooting that occurred a few months later in August and at a video game tournament of all places. We have all heard about the mass shooting at the Madden ’19 tournament that was held on August 26. David Katz, the gunman who shot 12 people including Elijah Clayton and Taylor Robertson whom he competed against in the E-sports tournament, suffered from depression and other “affective disorders” and was on psychiatric drugs known to induce suicidal thoughts and violent tendencies in young people. The blame went to video games as always, but this wasn’t Fortnite or Call of Duty. This was Madden ’19, a football game licensed by the NFL and Electronic Arts. A sport game. A non-violent game. The Sandy Hook shooter (since we’re on the subject of school shootings) Adam Lanza, played Super Mario Bros and Dance Dance Revolution frequently yet he committed a violent act. Why? Because his severe Asperger syndrome and OCD were not properly addressed. He was receiving treatment until 2006 when he stopped seeing doctors. He was placed on the antidepressant Celexa but stopped taking medication three days later due to it having an adverse effect on Adam, putting him in a vegetative state. Again, here is a situation where violent game did not play a role in his behavior and mental health did. Furthermore, his brother Ryan Lanza played Mass Effect, yet he was not the who carried out the heinous act. Go figure. So, if the Supreme Court and psychiatrists do not see any connection between video game and behavior with the evidence presented before them than such a law proposed by Christopher Quinn will not come to pass. This is, again, another baseless and easy attack on the gaming industry and yet again mental health issues are not at the forefront as they should be. Why must mental health be constantly shoved into the backseat in favor of a red herring? No amount of money is going to make this issue go away. 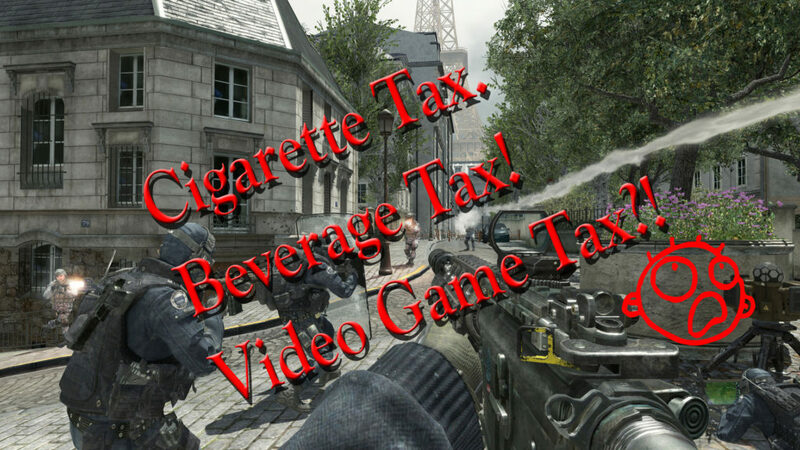 If anything, the violent game tax only serves as a security blanket, not a solution. Addressing mental health is the key yet nobody wants to touch it and that is what, if any, tax placed on video games should go towards. To see the full report of Andrew K. Przybylski and Netta Weinstein’s findings, you can view the PDF here.